Tom Dumke of Thomas William Furniture is headed west. He is making his way to Oklahoma City for the Oklahoma City Arts Festival. Tom will join over 144 of the nation's top contemporary craft artists in presenting their latest handmade works. "This is my first year exhibiting at Oklahoma City Arts Festival," says Tom. Dumke has been hand crafting furniture for the past 30 years. 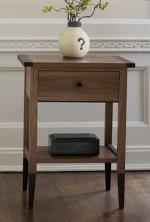 According to Tom Dumke, "My work of beautifully hand-crafted furniture reflects the clean line of the Shaker form. It also inspires my designs, creating pieces with a modern flare and sized proportionally for today's needs." Since 1967, the Festival of the Arts has been Oklahoma City’s rite of spring. The Festival is a community celebration of the visual arts, performing arts and culinary arts. 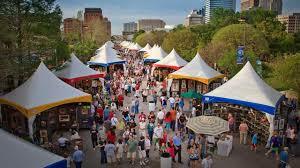 The 2015 Festival of the Arts takes place April 21-26 in Downtown Oklahoma City at the Festival Plaza and the Myriad Botanical Gardens. The festival runs 11 a.m. to 9 p.m. Tuesday through Saturday and 11 a.m. to 6 p.m. Sunday. Admission is free. More than 500 artists applied and submitted work for the Festival jury process. The 144 chosen artists are some of the nation’s finest. Media includes oils, water, drawing and printmaking, photography, ceramics, glass, sculpture, fiber, jewelry, wood, and two and three-dimensional works.